and right in the little sofa room is a huge television where the family gathers to see the photo shoot immediately. "You know babies are fun, yet they do what they want to do, not you!" laughs Federico. Federico's grandfather started the camera store, which is actually famous world wide as one of the specialty camera stores in terms of the highest quality equipment from Canon and Nikon and Olympus. One year and 1/2 ago he went to Morroco to take photos and came back with beautiful cameras and photos from that trip. Federico is the 3rd generation of the family of Pandini who has owned the store. Since the city of Ferrara is famous to show the Palio, amoung other things to do, Federico's friend, Caterina last year, told me of the event: the funny Palio that Ferrara has. "It has been here since 1259b.c. and from that day to the 1700s when the aristocratic family left Ferrara. In the 20th Century it is revived again. It is the oldest existing Palio and we wait to see if we are invited as the official photographers of the events which run from the month of May and the Palio of the running of the horses is in the end of May. The first race is funny since it is a race of donkeys! And they are slow, The big race starts at 16:00pm. It has 8 colors of Contrada and it is beautiful. For the entire month of May every night there is a special event and the people walk the streets in a parade at night with all the costumes and flags. It is very colorful." says Caterina. "The promotion that we have right now is that if you buy the camera that is of a certain value, say 700.00 euros or more, first you pay me 700.00 euros at the Foto Pandini and the company such as Olympus or Canon gives you back 400.00 euros into your banking account, so now is the day to buy that camera!" laughs Federico. The new Instax cameras, here it is love it! "It has only been about 3 years since we have been giving the babies a chance to be photographed, and we have to wait a little while to see the progression of "O that is when you are 3 and now you are 5" sort of photos. Yet, you are right that should be fun.! " says David, Federico's director. They added a cool photo shoot studio, actually, Federico added it, "About 5 years now. Before we had to go to events or celebrations or people's homes to do the photos, yet now, in addition to that we do come here in the studio to do the photography. 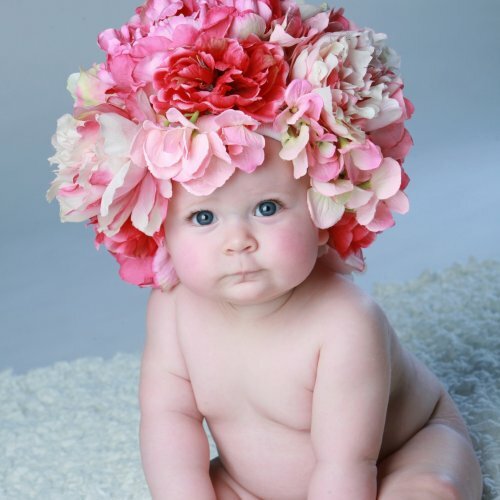 I am a magician since I do the photo shoots and I do the bubbles to make the children laugh and my assistant makes funny faces and acts silly and tries to make the babies laugh and we try to do the best we can, yet you see from some of the pictures they cry since sometimes babies ARE NOT HAPPY!" says Federico. "I am a photographer. I am not a video artist. I can only do film and video with the high tech cameras that I own to show myself. Yet the cameras that we carry can do real fine high quality films and videos if you know what you are doing. Me? I know how to photograph you. I just bought a new home and I am trying to decide to add a Dark Room to develope pictures since in the store studio, we need room to add one. My place is big enough for a Dark Room, yet that would take the entire room and I am probably going to do it. It would be cool to be able to develope my own sense of style to my photos and my guest's photos." says Federico. Slowly it is happening to make the photographer bigger and better. First the in house studio where he can play and photograph the guests that ask him to, and now his own studio to create his style of photos. Cool! And since Federico does travel the world, his photos and style reflect the visions that he sees. "We have instant cameras that take polaroids and you can do a couple of things such as you can do the instant that pops right up or you can view the photo first, delete, or keep it as a photo. The people today think that Polaroids are cool. We remember these, yet the 20 year olds are like, "O cool!" and they like to see the photos, yet they can save these, too, on a chip and add these photos to computers. We have the film rolls, too, and these you must come here for me to develope and suprisingly they actually love to do that! It is cool." The Cigar Smoking Bartenders of CIPO...known around Ferrara and gaining a reputation in Italy as the best darn cocktails around...here at Apelle. Jacopo smiles shyly and keeps attempting to have me taste one of his signature drinks, and I am very curious! why do you come running to APELLE? When I start to interview, Matteo, one of the Capos, Robert the bartender comes and sits outside with us, and soon Martina comes to sit, and the table is 4 of us laughing and I say, Um, to Matteo, you are the Capo, right? He laughs, "Yes, and yet it has been open 2 years. Robert came on 1 and 1/2 years now, Martina has come on 1 and 1/2 years and Jacapo, the young bartender, is only here 1 years. I finally have a great team." and the interview is casual and funny. 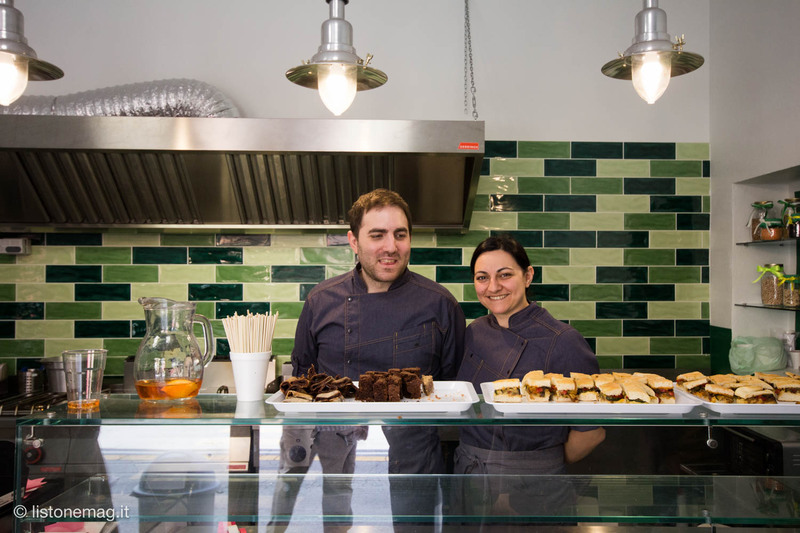 "The quote under the name, Apelle, on the restaurant says, Smart Food since the food is Smart. It is International and it is Exotic. We have 0 plates of Ferrara Cuisine. Yes I know you can find Pumpkin Cappelecchi everywhere in Ferrara, except here. We have exotic items that Martina goes around the world and tries. She brings the recipes here and we all taste and taste. That we love to do. We add the new food to the menu when we all feel that it is tasty to everybody." he says. Robert says about his cocktails, "They are signature cocktails. Of course if you ask us to make a Cosmopolitan we can do that, however, the ones we have and are becoming famous for is the signature ones. And the glasses are all vintage. I find these for Matteo and we add these. From Crystal goblets to 100 year old Cruise liner glasses such as the Titanic, although not Titanics," he laughs. That's good! Chef Martina Mosco, the head of the helm the last 1 and 1/2 years, worked before with Chef Gordan Ramsey, "He is the nicest person. He always came in and said hello and he is nice to everybody. He isn't crazy the way he pretends to be on television." says the very shy top chef at the exotic international bar? Restaurant? . The team laughs when I ask that question, "It's a bar and a restaurant. That's why we name it SMART FOOD...GOOD DRINKS," they say. "Martina is the best chef ever. She worked with Lionello Cera from Osteria Cera Michelin 2 stars..."says Robert proudly who adores Martina. Martina, "I love Robert!" she says laughing quietly. "It is rare for Martina to talk to people, she is very shy and stays in the kitchen all the time. When people say, can we meet the chef, sometimes she says yes, and sometimes she hides in the kitchen." says Matteo. "We ALL LOVE Martina since she is the best chef ever." I ask Martina how long does it take from the time that she tries a new item with her team to adding the food to the menu? One Week? "O Gosh. It takes at least one month." she says! Soon, Matteo joins us... "I love the bartender's drinks, I love the food, I love the people." As you walk around the great Castle and Moat of Ferrara and down a little side alley you discover the hidden jewel in the kindness of hte Capo and Cuoco, Luca, and his charming young wife, Estephania. I found it discovering Ferrara and kept having to grab the great chef from his Cucina. "Hi, " he says all friendly and starts to excitedly tell me of his love of CIBO, how to pronounce it, "CIBO...CHEEBO.." he says. "Here let me show you pictures of the food on the Internet, " he says as it is early and he is preparing his kitchen for dinner. I keep saying, O my Gosh, Yum, I WANT THAT! , O how do you make that? He keeps laughing and patiently tells of each one. says Luca who is a affable young man who is proud of his boutique restuarant that is fancy on the inside and light and airy in the outside tables. "Yes the Germans come and the Americans come and the Russians come and they all say, O I love your husband's food!" says Estephania, with the help of hand gestures and google translate. "Hand signs is the best language," says Luca. "Naples is a beautiful city and people visit it from all around the world. Yet I see and know that if you talk with the hands usually people understand each other. It is a beautiful language, Italian and maybe when you come back to Ferrara in 2 years you know more Italian and know more English." he says laughing. I say I just want to eat his food! "Here is my wife!" says Luca and the Charming Estephania appears from the kitchen. She speaks only Italian and we immediately head to the internet to see the food. And when I start hinting, YUM, that is lovley!, she just keeps giggling. How much do we have to spend to come eat at the romantic, young and fun Mediterranean kitchen? "It is a little expensive, " she admits laughing, yet the 3 American girls sitting at a table outside say, "it is totally worth it. The food is GREAT!" they say as they start eating the gorgeous plates being presented and I again keep hinting. Guess I have to come for dinner soon! 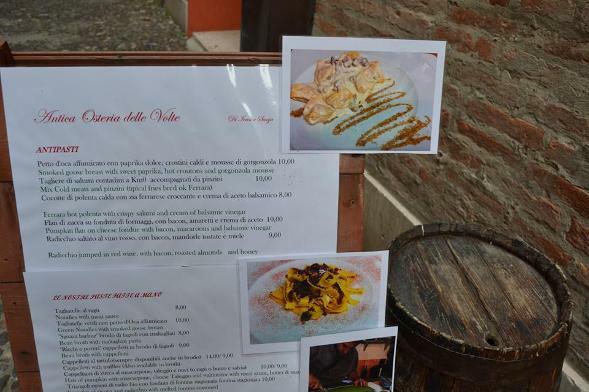 It is a must in Ferrara for its super young lovely friendly couple who cook and wait on you and the food is exotically prepared from the Gentle heart of Luca. "Yes we have great food, since my husband is the gorgeous cook," says Estephania giggling constantly...and me who is usually totally serious at all times found myself first giggling with her and than laughing hysterically...she made me laugh with life! "I love to try new things. I, personally am from Naples and my wife is from Ferrara. 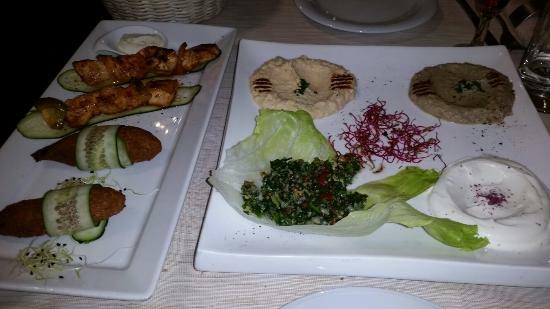 I had a Lebanese chef and he taught me Lebanese cooking and the Italian people love it. When he left last year, I made his recipes along with my own from Ferrara and Napoli and it is a 3 Cuisine Restaurant I would say. When we see the reviews of Trip Advisor in the last years and we're 9th out of 497 restaurants in Ferrara that makes me happy." "I love the photo that a young Florentine woman took for a Italian Magazine of me and my husband sitting at the Le Nuvole's Table," says Elisabeth. "Her name was Sophi and she is a wonderful photographer from Florence for Italia Magazine." I says that she is right. The photo is gorgeous as is the couple and the Restaurant, "It is all decorated by me." she says. "My husband's kingdom is the kitchen. He is shy and timid out in front of people yet a wonderful master cook. That is why he needs me for the people," she laughs when I ask if she goes into the kitchen and makes suggestions to him for the menu. "NO." she says. "He does the menu." "We only do fish. 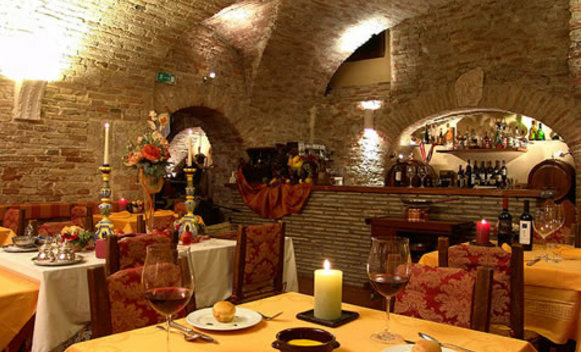 My husband didn't want a traditional Cappallecci Pumpkin restaurant that is typical of Ferrara. He had worked in a restaurant with others and he wanted his own vision. Many years since when he first started he worked in a restaurant near the sea. He wanted to do only seafood and had learned from his great teachers. He says that he tries the best he can to do his own recipes that he has learned." says the very kind Elizabeth. When I ask Salvatore about his history of the restaurant he says that he and his brother Fabio started taking over as the Capo's in 2010 when his famous father passed away. "My father started the restaurant in 1979 and we were reluctant to take it over yet knew of its importance as the traditional family restaurant and very famous here in Ferrara. Since almost 7 years it has been successful with us as the bosses and we are happy to have our father proud." says Salvatore with the help of a interpreter, his accountant Silvano. And now Salvatore, is the restaurant the best in Ferrara? 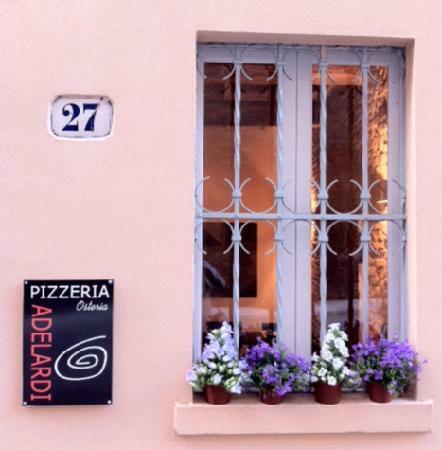 "Let's say I can say with confidence it is one of the top 10 restaurants in Ferrara. That is how famous it is. The pizza is very important and people always order the pizza. Pizza can be great or it can be okay. Ours is great every time. We have fish and meat and pasta not just pizza though." says Salvatore. "Of course the pizza is important and to let you know of the importance of the pizza makers in Italy, in a restaurant they are one of the highest paid team members. They make at least 3,000.00 euros a month or more. It takes many years of skill to learn how to make the pizzas and Salvatore came here at the age of 10 to the restaurant." says the accountant Silvano. "Yes at the age of 10 I came to the restaurant and I started helping and at the age of 14 I started learning how to make the pizzas. It took me about 3 years. And It is difficult since you must learn how to mix the pizza recipe which every restaurant has its own recipe. And you must learn how to do that and how to cook it. And the twirling and the throwing and dramatics is just for show!" he admits laughing and Silvano says oops you aren't supposed to say it is just for show! It is alright I say it is fun to watch. "The ceiling in the dining room is at least 500 years old,"says Salvatore proudly. 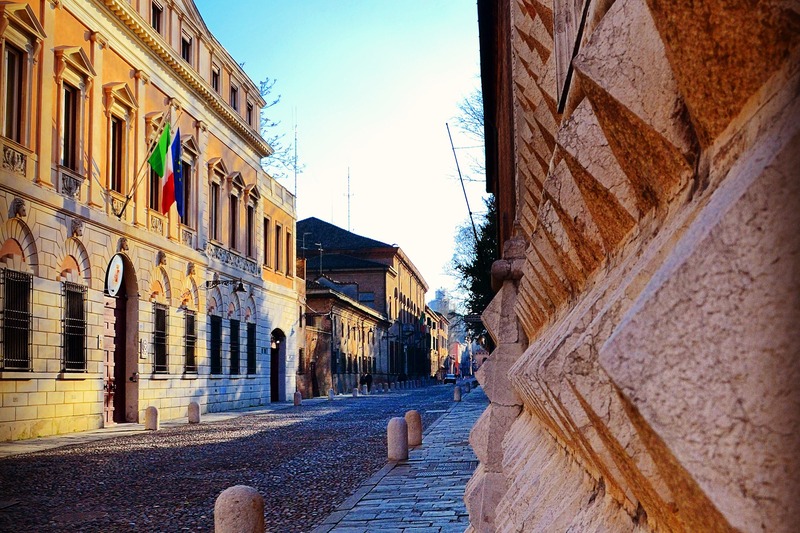 "It is a wonderful thing about Ferrara that it has such beauty in its old buildings. 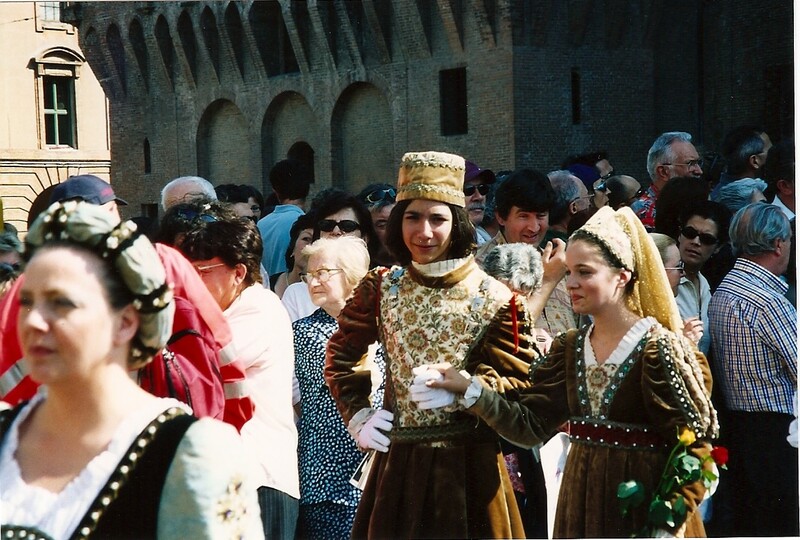 The city has the oldest Palio in the world here in Ferrara too, although people think it is in Siena instead." he says. "And the other cool thing about the city is that it is the first Italian city that is being named after the modern streets were put into effect in a octagonal way. If you see the city from the air you can see the modern design of the streets and it is pretty cool." says Silvano. 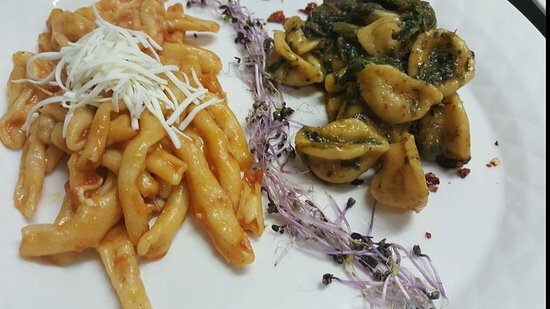 Yes We know that Ferrara has its own style of regional traditional cuisine, yet from the family of South Italy who moved her, comes the scrumptious food of that traditional Matera region. The mama speaks only Italian and is adorably Italian grandmother and her son a funny only Italian speaking jr. capo. With the help of Monique we had a lovely interview and the mama let me try the Dolce Sweet Dried Peppers from South Italy. "I take the long red peppers and dry these. When they dry in the sun, I fry them in oil. YUM! I can let you and the result is crunchy taste that you know from say eating french fries." says Maria, when me, Giuseppe and Monique all ask how she makes these unusual peppers. You can see the peppers pictures below on that huge antipasta south italian plate. They are crunchy and light. Me and Maria, the talented cuoco, google translate text back and forth during her prepping the dinner at night and she says, "yes I love to cook. It is my passion. It is my love." and I say yes her facebook pictures and the food she lets me taste all give that feeling of years of delicate training. "Here is my mama making her homemade Orecchiette , which she makes everyday...yes these come from South Italy. 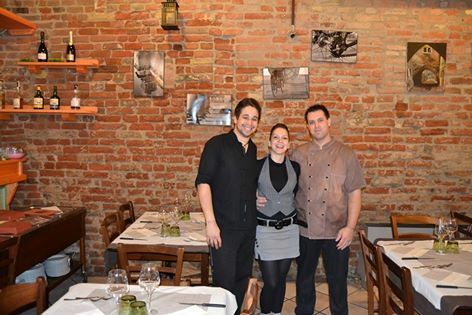 She cooked here as a chef for 4 years and learned the art of Ferrara cooking and she combines the two here at the restaurant, yet it is truly a South Italian style to all her dishes." I ask Giuseppe if he knows how lucky he is too eat his Mama Maria's cooking everyday. "Yes since I am 8 years old I help her in all the kitchens in South Italy and in Ferrara all these years. And I eat her cooking everyday of my life, except when I eat my Pizza," says Giuseppe. His Mama Maria laughs, "He loves my cooking. He is from a bambino to a big tall person from eating my food!" she says and she shows how tall his is with her hand high! I say that my mom is the one who calls in to ask for her pizza to be delivered! "You know I am happy when the tourists find us since it is fun for me to meet new people, yet I only speak English and we try to have Monique talk to everybody! All my friends come here and even though I am from the South, I made many friends the last 4 years at Ferrara. I love it here and we're happy to have a great restaurant. And yes it is fun. I love making the pizzas and me and Monique love eating the pizzas!" Giuseppe says. Of all the food on the menu which is the best for Giuseppe and what does he eat everyday at the restaurant? "My pizza!" he laughs. "I make new ones everyday for me and Monique to try and I eat my pizza every night!" I say, of all the great things on the menu he only eats his pizza? "Yes!" he says laughing. And his mom says, "I love fish. We receive fish from South Italy and I love to cook it yet I love to eat it!" Giuseppe says, "Here at South Italy we have a little Grappa with the interview or a little wine, is that alright?" and of course I say yes to the wine yet the Grappa is a little too strong for me. "Yes the different cultures you can tell...the Russians come in and they drink Grappa with the meal, the Americans rarely try it." says Monique. 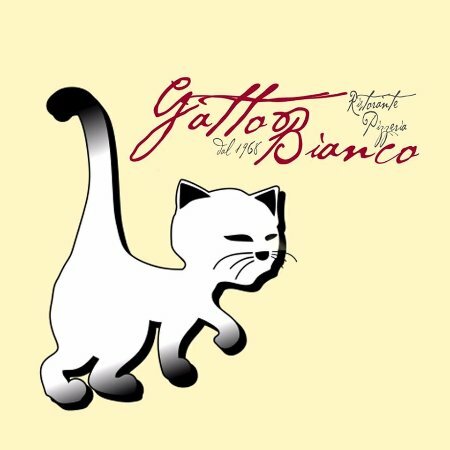 Alright it is right down the cobblestone alley near Gatto Bianco...the White Cat...MUST EAT HERE! The First person to say hello or in Italy, CIAO, as you enter the WOODPECKER, which continually makes me laugh whenever I write that name, is Simonetta...in the year of 2015. As she says her name, I say, "O, she must be the boss since her name is Simonetta, and Rino(who really is one of the bosses!) says, "Yes...the tiny boss...tiny Simone..." She smiles as she speaks a little english. 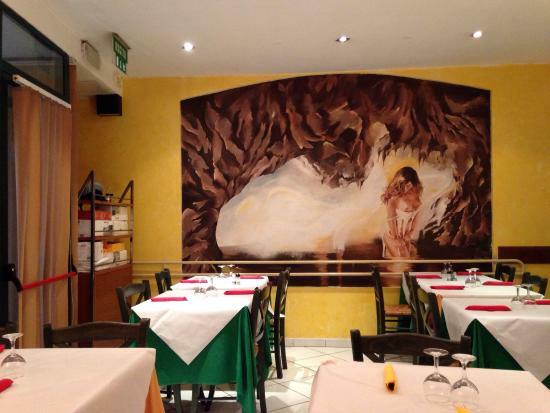 It is a charming restaurant with authentic Ferrara food. 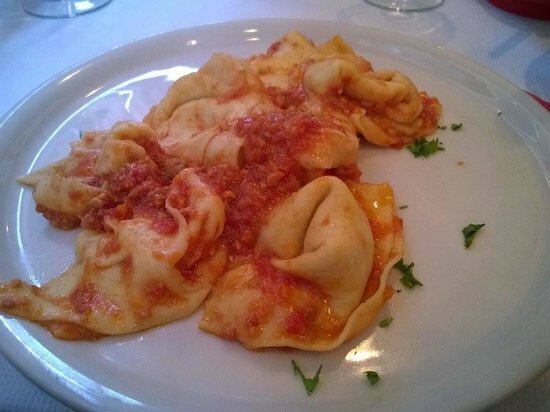 "The Cappellacci is a big tortellini as the Bologna tortellini is much smaller. That is the difference," he says. We reserach and Wikipedia and find that Giovan Battista Rossetti who is born 1548 and 1584 is of the royal family of Ferrara. "I guess it is where the Cappellacci originally came from and I must say to you seriously, it is the BEST FOOD EVER! "My job is the Cappellacci and my brother, Carlo, is the Head Pizza Chef," says Rino pictured below with his brother. "The restaurant has been here for 36 years and we've been working that long!" he says when I ask how long he has been making my favorite food of Pumpkin Cappellacci. "The best thing for Ferrara is that more tourists come since the last couple of years and since December, the high speed train comes from Naples to Venecia and stops in Ferrara. We're lucky!" he says. Here is the famous Cappellacci that Rino says can be made with cheese or meat(cappellatti), yet my favorite is the pumpkin. 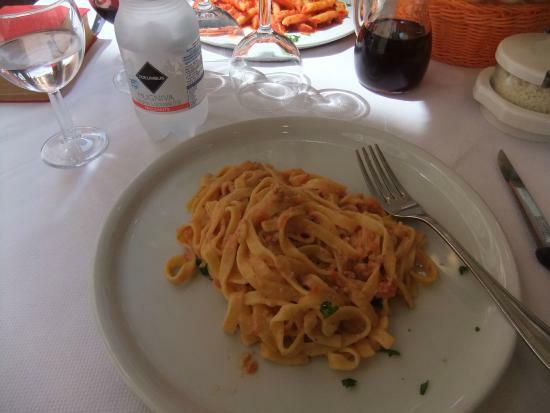 "We have many dishes of pasta you know, not just Cappellaccis!" he keeps reminding me, yet I tell everybody around the world of mine! "The family of me and my wife and two sons, and my brother and his wife, make up the WOODPECKER." says Rino. "And the reason I named it Woodpecker is because a long time ago when we first opened I watched cartoons all the time and it was a funny cartoon. That is the reason. In Italian the word is PICCHIO." he says. Wael says, "Morizio is like father to me. I came here 7 years ago then I am at University and I stayed. Yes I miss my country Lebanon but I love Italy. At Lebanon there is too much fighting such as the Muslims against the Christians. Here there is everybody and all religions people dont fight. I started work here 7 years since at University and now I am a partner owner of the restaurant with Morizio. " Morizio is in the kitchen , waiting on people, out the door, etc. A bundle of activity. Wael is smiling a young kid having fun. When I tell him O I love the music of Ayman Zybib the famous Lebanon singer Wael says, "Yes I know all the girls love Ayman but there is many more famous people in Lebanon than Ayman Zbib." He seems to have heard that tons of times and we laugh. The pizza is totally huge the way all Italian pizza is and totally good by the way. "It is better here to casual dress as the guests come and talk and they feel comfortable instead of formal. I am comfortable at Italy. Lebanon is too close to Syria and that is where all of the fighting comes from. I dont want to go back to Lebanon." Besides the known fact that love white cats! The food is the best here and I love the restaurant. 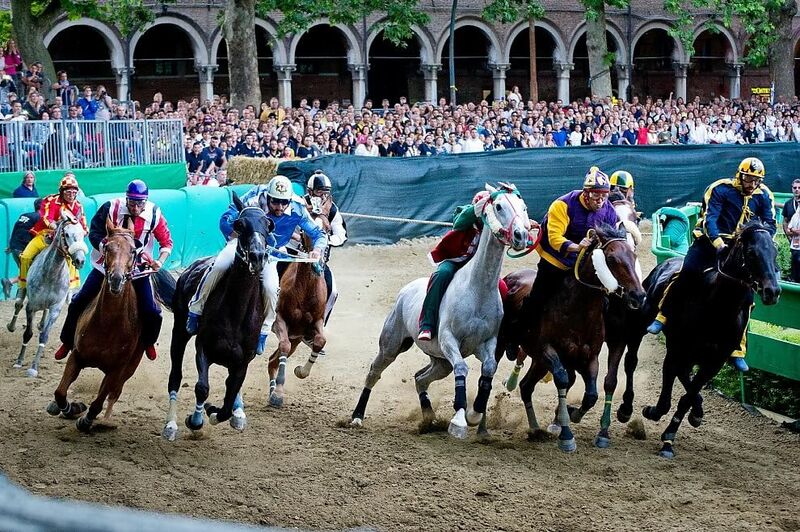 The many colors and festivals of the Palio in Ferrara,the month of May. Biba as she is known to friends, her real name is Barbara, is one of the first Bar owners around the world who is a woman. She is tiny.about 5'1" yet is totally lively and fun. 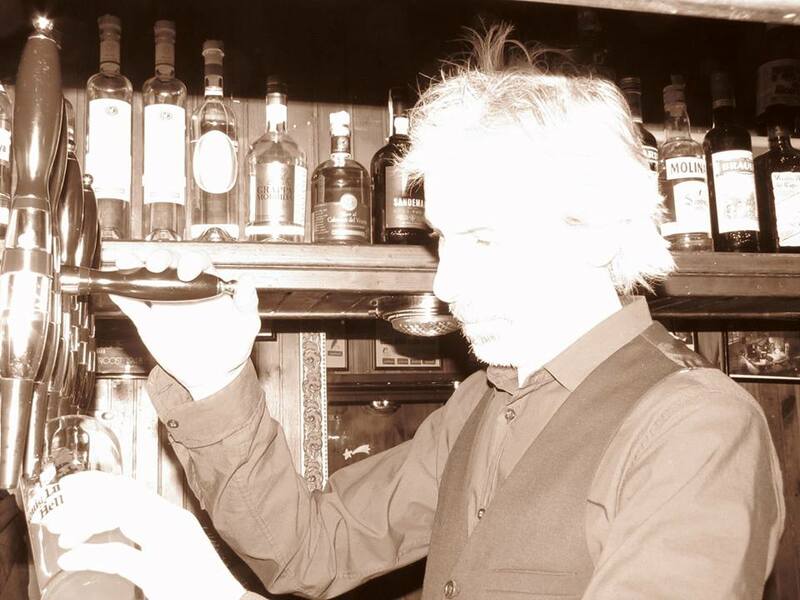 "I've owned the bar almost 7years...this is my father who helped me. He has a pension and he comes and works at the bar a couple of days. I love the bar and the people but I would like a more independent life such as a employee at another job. I would like to sell the bar and find a new life! It is tiresome 7 years later!" She says. I tell her the bar is adorable...totally cute! But that I would tell people all around the world if they want to buy a cute little bar right next to the castle here it is! in Ferrara Italy has the coolest backpacks, canvas satchels, canvas purses from all around the world...using hemp as the main material... You feel like you are in the jungle of Columbia! "The bags and great knapsacks come from Germany, China and Singapore. Everybody thinks that at they come from Columbia." He asks why I say that they look like they come from Columbia? Because I have been there to Bogata and to Medellin. I love the bags. Must check em out. Cool. I know the restaurant is kind of cool and the coolest is that the owner's a husband and wife team...early 30's young young young and the wife Sanja's youngest brother are the 3 characters that make it happen. The three team:) " We always work in restaurants and last year we say lets buy that restaurant and lets make it as a team. And now 8 months we own the restaurant." Says the young girl Sanja pictured here on left brother and on the right her espousa, Evan. "How do I say Cristian likes to...um he likes to how do you say decorate? Yes he likes to do desserts and decorate these and my husband loves to make new items to the menu. We have fun all the time working with each other, " she says as her brother runs a apple he made into a swan to the big table pictured on the other side. As you can see the young girl is eating the apple in the highchair! and apertif every night...yum gnocchis! 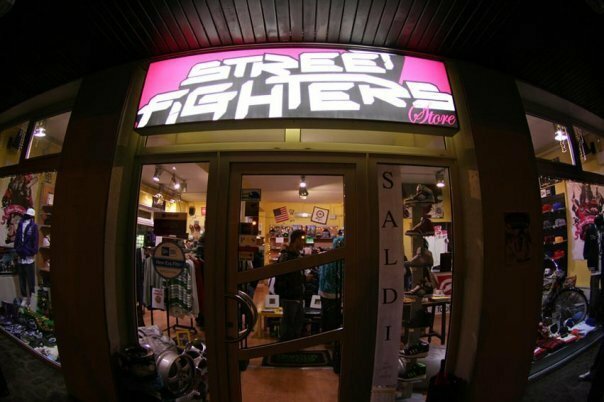 When I think of Um Street Fighters I imagine a bunch of people rumbling but the store in Ferrara is about the Music and the young culture of Breakdancing. The two owners! Marco and Luca are both involved in the dance culture as singers and then DJs. 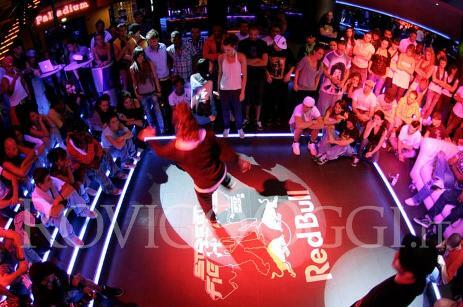 Marco actually does an article 6 times per year in the famous Break Dancing Magazine. They're young partners and we're sweet to give me a 10Euro! donation to say that they appreciated it totally much to put the Store on the Website. They have a big dance on April 12 at, SINATRA! FERRARA italy. 4,000 people expected to attend. At the Taverna he definitely knows how to do music. I know how to do my facebook friends, my emails and my website . 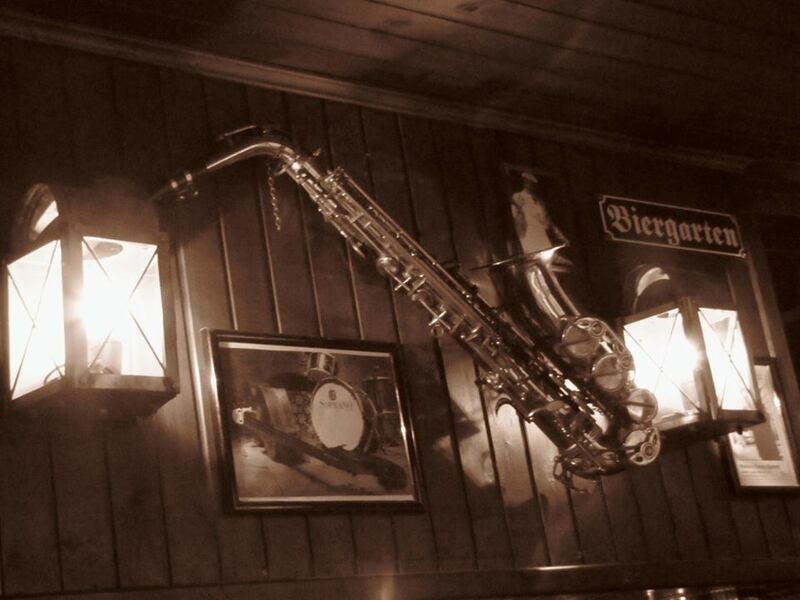 If you want to hear good music eat fun Italian food and great conversation Nello Il vinaio is perfect. Alan is the owner of the "Taverna" he corrects me as I say the Osteria? The Ristorante?... "It is more like a Taverna. We have food but it is fast and simple now , not like the older days when people sat down to dinner. Now they love fast simple food." He is showing me on the computer how to program music tastes into the sound system... I am lost immediately! Hi want a cool young local hangout to shout and have fun with friends til 1:30 am? 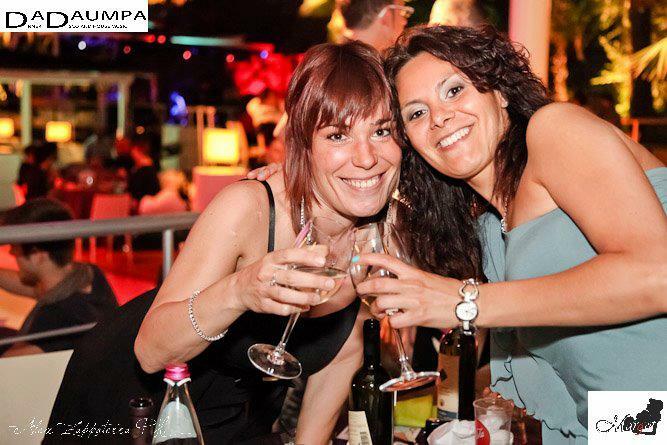 Try the Cambusa which is on facebook with a group of friends at Amici della Cambusa... Emma is the bartender and she is kind and normal and fun. I liked her and trusted her immediately. "People come hang out. I volunteer to write the website but I don't get paid for it...it is English and Italian but most people in Ferrara only speak Italian..." I laugh and tell her sometimes that is a good thing and especially with google translate i can't understand anything! And she nods and smiles. IT is a local casual bar as is all the places in Ferrara fun and casual and real. My personal favorite of Godiva ...or Ferrara's favorite of La Bottega Del cioccolato near the cathedral, whichever one you love at La Bottega Del the minute you look at the Chocolates you get fat! The Mezza Luna Ristorante I thought when I first walked in is a moon such as Luna but the owner Andrea is quick to show me that it means sawing such as making little tortellinis I think...anyway the decoration is eclectic mixing styles and he says in a little English, "My cucina is Kreative! Italian Italian kreative" but he says "Me capo proprietor" as he points to the restaurant he laughs, "That architect." I guess he is trying to tell me that he had nothing to do with the decorations. A Beautiful mixer of elegance and sophistication is the Mezza Luna. It is a little formal here and the food exotic such as Octopus with fegato grasso and eel which is his favorite he says. They even have wild boar which is mine to honestly say i love that. Italian with tons of exotic fish. Cucina Michelle Bacilieri and owner Andrea pictured here. WarHammer, Lord of the Rings, Dungeons and Dragons...come play with Andrea who is the leader of the band at the tiny little game store fun! the older ones take awhile to think about their strategy and they discuss strategy before making decisions. You can tell the difference." "My store has 1,772 bottles of wine available every day because I have 15 stores." Wow that is a huge number... when I laugh and ask if he has tasted all 1,772...he says laughing, "Yes. I tasted everyone. Because it is important to know all of em. If someone asks me what that tastes like I have to know. Now there is many years and it is imossible to know al the years of all the wines but I know all the vineyards. There is 20,000 wines in Italy." Wow again! The most expensive wine that Marcos ever bought is Chateau Petrose 1987 with the price of 9,800.00 Euros. a bottle. I ask jokingly if he remembers if it is white or red. "Red. French. Wine. " Giulia says, "Everyday I think yes I am becoming an alcoholic. He must have the right wine with dinner and he sets the plates he chooses the wine everyday and we try each night different combinations. So yes I am becoming an alcoholic." 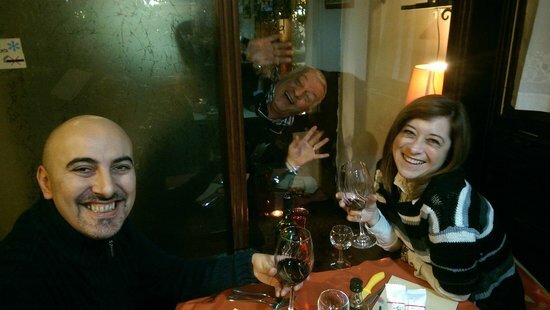 We all laugh and I tell him that the funniest thing is Italy has definitely turned me into an addict of red wine. I love Italian wines. "Because it is impossible not to drink in Italy..." Marcus. Has some good quotes! Guila who speaks a tiny English tries hard to communicate and we laugh at Marco who is HILARIOUS... "Now I even have the key to not being alcoholic... There is a secret to don't be alcoholic when you drink something good you are working everyday to find something better and everyday more £money it costs to keep tasting more expensive wine. And finally your tastes you can't afford." Emme laughs...and that is how not to be an alcoholic...you can't afford your tastes! Which job is more fun...IT or the bar? He hesitates, "The bar it is friends all the time and I can have more fun than at IT!" Stefano owns the Bugs Bunny Cafe in Ferrara and English is his language, "O I Learn English in my other job. Because that is not what I really do I am a IT during the week and all of the people that I talk to on the phone they come from England and America and I have to learn English." Okay his Italian is perfect since he is from Ferrara however he I can have a funny conversation with. He laughs, "Yes it is that way." Matteo has a gift store near the huge Castle at the city of Ferrara...it has among other items, "Here see this?! It's eels..." Matteo shows me the jar and I jump back away from the totally real eels in the glass jars. Here is the huge beautiful palace of Ferrara complete with a real moat:) And if you mosey excuse the pun on down the alley into the midst of funny real Italians from Ferrara you shall happen upon aromatherapy store named Profumeria Cosmetica Naturale Via Garibaldi °65... 053.2.248695...love that store...the minute you enter a soothing smell of perfumes meets you. Cristiano Tomadin has educated himself in the arts of perfumes and oils about 10 years of experience. Along with the friends of his that help him to mix and make these unique and special formulas that instantly will relax you the minute you try he has then "created a world other than the world of Ferrara" he says. I loved the smells and the candles and the oils and the lotions...okay I loved all of these in the store:) "a world in which you do not want to leave..."
Enrico says, "You must come tonight to test the Cappellaccis...there is a big rivalry between Ferrara and Mantua where they put fruit in the Raviolis but Ferrara only uses pumpkin and it is the long pumpkin not not the round fat pumpkin." I say o that is called squash in America. "Squash?...o that is typical of Ferrara." We chat about food and life and he tells me that a couple of years hence that there is a big earthquake actually two and that his entire room shook. 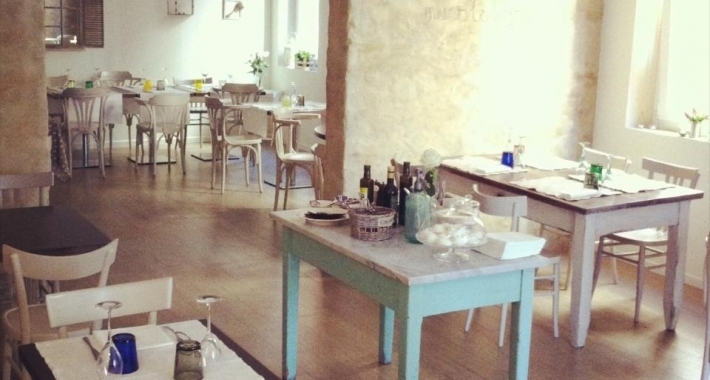 "At the first earthquake I came into the Osteria and see the beams on the ceiling? They're from th 14th century and only at the restaurant 3 wine glasses had broken but all of the others were perfectly on the tables. Only 3 that is how the architects make the buildings in the 14th century. Today the modern buidlings had holes in them but not this building." 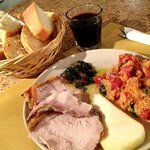 Questa foto di La Compagnia è offerta da TripAdvisor. As I lean on the counter the wine bottles shake underneath me and I tell Enrico how in the last couple of days a wine bottle in a totally old Venetian Restaurant had miracously jumped from the wine cellar near me and crashed on the flood. The owner had said o that is alright don't worry about it although I felt so bad but yesterday at a restaurant eating pumpkin Cappellacci's the young son had backed into my little wine glass and it had shattered everywhere on the table... and now I said that things happen in threes and I am afraid that the wine bottles will shatter.. Enrico laughs, "O they're fine. One time a lady knocked the wine bottle over with her purse but it is allright." But when he tells me the story of the 3 broken wine glasses during the earthquake I ask if he is telling true? He says, "Yes I saw these 3 when I came into the Restaurant. It is true. Only 3 had broke. Maybe Ferrara is bad with wine?" Enrico is a musician and plays in the band "Dead Ronnies". Seen here on youtube live at Ferrara that is Enrico singing! Funny!